A quick muster of my command groups shows I'm missing a standard bearer... Ebay time! 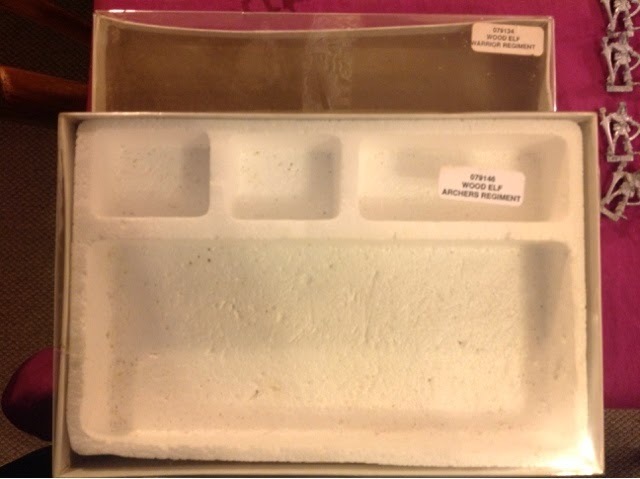 And a quick question for the citadel officionados - I bought a few of these boxes when Games Workshop where doing some sort of sale. You got 30 infantry or 10 cavalry for £10. It's why I've got so many Skarloc character figures. But what year would that have been? I think it was before plastics really came on the scene, so I'm wondering why GW had the sale? I don't remember those specific boxes, but i do remember picking up a lot of oooold minis in a great big GW sale back in the 90s. I think the sale was about 1992 or 1993. 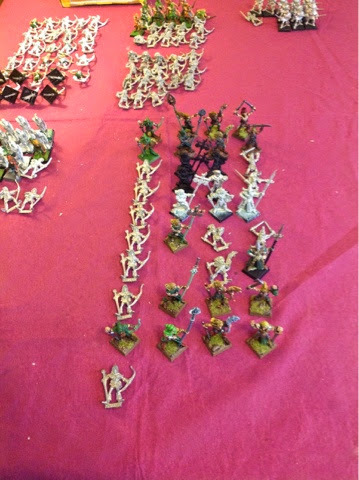 GW might have been selling off a lot of their old stock to prepare for 4th Edition plastic miniatures and new metal models. They were switching over to pewter about this time due to the phasing out of lead content models in response to pressure in the USA. Yep still alot of archers to paint up! With hindsight I think the imperial guard and squat bikes were a better buy! Ive got a load of marauder elf archers (sea elf?) which Im thinking of selling off. They are smaller and thinner than the citadel scuplts and the command characters dont really go with them. Unless I feel like foing a seperate sea elf ally contingent...? You could use them as a basis for a new small High Elf/Sea Elf army rather than just an ally contingent? It will give you a chance to paint up some Elves in a different paint scheme. 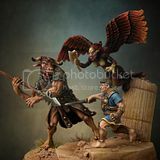 I found that some of the Marauder Elves look fine as small units of scouts, but I agree they are not as good as the Jes Goodwin one and don't fit in well with them. Your Elves are looking good and I like the Cleric, love the shield.